The Tao Te Ching is one of the most widely read and deeply loved works of ancient spiritual wisdom in the world. But its dense and cryptic lines can sometimes yield more confusion than illumination. 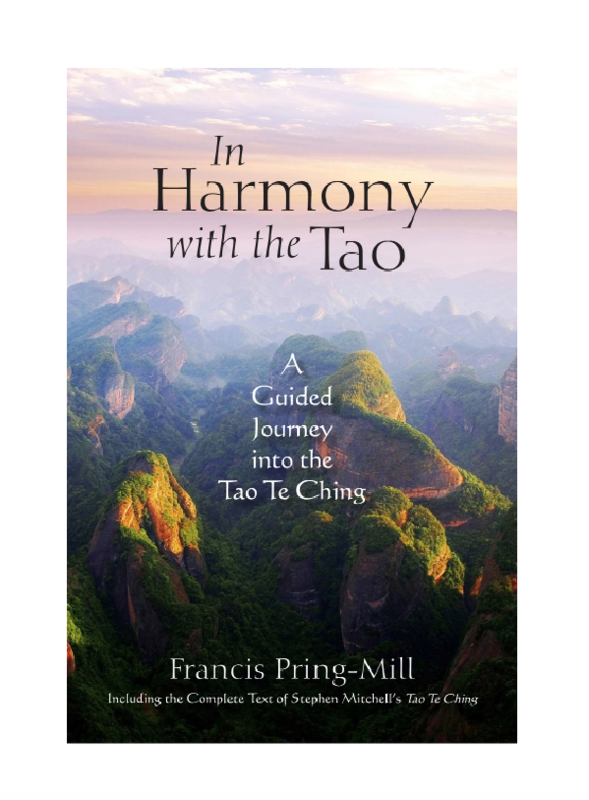 If you’ve ever found yourself understanding the printed words but thinking, “Yes, but what does this mean and how is it relevant to me?” then Francis Pring-Mill’s In Harmony with the Tao: A Guided Journey into the Tao Te Ching is your guide into deeper understanding of this classic work of Chinese philosophy. Today’s fast-paced world leaves us little time to spend with the timeless questions, such as how to live a meaningful life in harmony with the world around us. Nonetheless we yearn for answers and answers are to be found in the Tao Te Ching, a book written twenty-five hundred years ago that resonates with people everywhere as though it had been written yesterday. Of the many English translations and versions, some are scholarly, others are philosophical. What’s new in In Harmony with the Tao is the concept of a guided journey accompanying the text of perhaps the best-known English edition: Stephen Mitchell’s elegant, authoritative interpretation Tao Te Ching: A New English Version. This book, In Harmony with the Tao, includes the complete text of Stephen Mitchell’s work accompanied by Francis Pring-Mill’s illuminating commentaries on each chapter. In a skillful rendition of ancient wisdom reimagined for modern times, In Harmony with the Tao reveals the common threads weaving through the eighty-one brief chapters. In Harmony with the Tao will appeal to anyone keen to understand the ideas contained in, and especially between, the lines of the Tao Te Ching.